If you are using a modern smartphone and you want to capture images like a pro but have no clue how to do that?Then you are at the right place.Today in this guide we will teach you how to increase android smartphone camera quality.So lets begin our post on how to increase android smartphone camera quality. 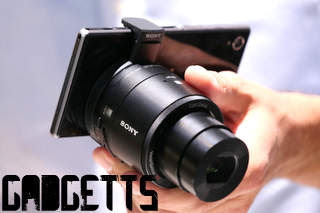 Now day smartphone comes with advance camera and some amazing feature and they are really easy to carry but it is of no use if you dont know how to use them.Thats why we are writing this post to guide you How To Increase Android Smartphone Camera. Evolution is some thing that never stops and it continues whether its life or the evolution of smartphone from blurry image to HDR mode smartphones camera has come a long way.We all underestimate what a smartphone camera can do but with some knowledge and some changes in the setting you can capture images like pro in your smartphone camera and we will give you some tricks and tips for that. Capturing images like dslr is not rocket science you just have to take care of some basic steps while capturing images. Dont depent on your camera default setting those are the worst setting if you want to capture images like Dslr. Switch to manual mode and play around with Exposure,focus and White Balance,Iso. Try to adjust all these with the image requirement and see the difference. Good quality images require good resolution,the better the resolution is better will be the image quality.If you need good focus try to get close to the object and you can see the deference. Lens are the most important part of your camera .In you every day life you camera lens is bound to get dirty and that where you roles comes in .You need to clean it regularly and you can see the difference. You can also add some additional lens for better focus and zoom. Even though you have stability feature in your camera but still is not that much effective when we compare it with dslr. In this case Tripods and Monopods are a good option. Not always you can control all the effect while capturing a image but you can enhance them by using a editing software. So this was our guide on How To Increase Android Smartphone Camera Quality.We hope you like our post on How To Increase Android Smartphone Camera Quality.